High real estate prices in New York City make finding a dedicated server host within the city expensive. ServerMania offers a much more affordable option by hosting your dedicated server at our data center in Buffalo, New York. Our Buffalo dedicated server hosting options are a fraction of the cost of dedicated servers in New York City and offer the same great connectivity. This makes Buffalo the perfect choice for enterprise-grade dedicated servers. With custom built servers and 15 minute response times, ServerMania is here to meet the needs of any client. Buffalo dedicated servers start at just $89 per month, making them an affordable alternative to New York City dedicated servers. Buffalo offers the same great connectivity as New York City, with 120Gbps of capacity to Tier-1 carriers like Level3, Telia, Torix & XO Communications. ServerMania’s Buffalo data center was designed with reliability, performance, and support in mind. Redundant power, network, and security systems ensure that your server remains online at all times. These factors are critical for the best dedicated hosting experience. Our Buffalo dedicated servers come with a 100% network uptime SLA to deliver a reliable dedicated server hosting experience for your business. These servers are among the best dedicated server hosting options in the United States. 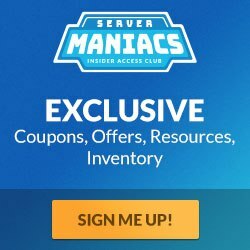 WHY IS SERVERMANIA’S NEW YORK DATA CENTER THE PERFECT OPTION? Each of our servers features only the latest enterprise-grade components, built by one of our certified technicians then put through a series of stress tests prior to provisioning, ensuring servers constantly operate at peak performance. Locked out of SSH on your server? Remotely connect at any time using a dedicated KVM module. Instantly reboot your server through our full-featured control panel at any time. By leveraging only the best Tier 1 network carriers and building redundant systems across the data center, ServerMania is able to deliver a 100% network uptime SLA. Never worry about bandwidth overage charges again. Each of our dedicated servers include 10Gbps of unmetered bandwidth. That’s enough bandwidth for virtually any project. Test your connection to Buffalo, New York with a speed test.